College of Court Reporting is very proud of its outstanding and dedicated faculty. Their hard work has contributed to CCR's success and is known for its strong philosophy of hands-on approach to assisting students with their education. Not surprisingly, our faculty and staff regularly receive national recognition for their dedication and passion to court reporting education. They care about each student individually, which adds to the family atmosphere you'll experience at CCR. Communications and speedbuilding courses. Ms. Balog graduated with a B.A. degree in English from Indiana University Bloomington and was a teacher's aide at Indiana University, Gary, Indiana. She teaches communication and computerized machine shorthand speedbuilding courses. She is certified as a court reporting instructor by the National Court Reporters Association and has attended training seminars for on-line instruction. She teaches days, evenings, and online. General Education Course Specialties: English. Speedbuilding. Upon graduation from the Academy of Court Reporting in Cleveland, Eileen was a freelance reporter and part-time instructor. She soon began instructing full time and was awarded the Steno Instructor of the Year for both 2003 and 2004. In 2007 she co-authored a court reporting curriculum and was director of that program. In 2009, she received the designation of Master Teacher from the Ohio Association of Career Colleges and Schools, and in 2012, the Ohio Court Reporters Association bestowed the Associate Award upon her. She is currently a CRI and CPE and on the Student Community of Interest for NCRA. Speedbuilding and academic instructor. Mrs. Billings earned her B.A. from Butler University. She has attended many professional development seminars. She teaches Microsoft Word and speedbuilding and is responsible for overseeing the grading of student evaluations. Tony Credit, J.D., M.A., B.A. Academic courses. Mr. Credit earned his B.A. from the University of Missouri - Kansas City, his M.A. from the Chicago Theological Seminary, and his J.D. Saint Louis University. He teaches courses in Foundations of Law, Human Relations, and Culture and Society. He has been trained in the languages of Arabic, Hebrew, and Greek. His classes feature a pedagogical style centered on analysis of current legal, and cultural issues with critical thought, and logic. Prior to coming to CCR, he was the admissions director for the Valparaiso School of Law. General Education Course Specialties: Law and Sociology. Captioning courses. Mr. Crosgrove is the Manager of Recruiting and Training for Caption Colorado, L.L.C. He is responsible for recruiting, hiring, and training realtime providers for captioning positions. He also captions for Caption Colorado and also captioned for Vitac, Inc., and for the Nebraska Educational Television. He has also taught and served as a program director for court reporting training programs around the country. He is a Certified Program Evaluator (CPE) for the National Court Reporter's Association (NCRA) and has served on the Realtime Certification Committee. He has taught many realtime seminars for NCRA at annual conventions and CASE Teachers' Workshops. He has a Master of Music degree from the University of Nebraska, a Bachelor of Fine Arts in Education from Wayne State College (Wayne, Nebraska), and an Associate of Applied Science Degree in Court Reporting from the Denver Academy of Court Reporting. He is also the author of From Court Reporter to Captioner and has assisted in creating the written section of the National Verbatim Reporters Association's Registered Broadcast Captioner examination. Academic Instructor and Speedbuilding Instructor. Ms. Faulkner is certified by the state of Tennessee as a Licensed Court Reporter. She earned her court reporting certificate from Middle Tennessee State University in 1998. 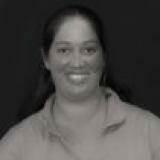 She has worked as a freelance reporter, CART provider, and instructor in Nashville, Tennessee. Ms. Faulkner is certified as a Court Reporting Instructor and Certified Program Evaluator by NCRA. She is also a Case CATalyst Certified Training Agent for Stenograph and has taught many software workshops and webinars across the Southeast. She has served on the board of the Tennessee Court Reporters Association as Middle District Director and President. Director of Alumni and Employer Relations and Foundations of Law. Ms. Kijurna has her B.S. degree from Indiana University and her Juris Doctor with Honors from DePaul University College of Law. Ms. Kijurna worked for several years as a litigator in Chicago, Illinois and also worked as the Associate Director of Career Planning for Valparaiso University School of Law where she counseled students on their job search, conducted mock interviews, scheduled all the event programming and worked with employers during on-campus interviews. She has taught at a variety of institutions both on ground and online in the areas of paralegal studies and criminal justice. Ms. Kijurna is currently a licensed attorney in Illinois and a certified arbitrator in Cook County, Illinois. She is also a member of the Chicago Bar Association and was awarded the David C. Hilliard award for outstanding committee service for her work as Chair of the Career Services Committee. She has been published in the DePaul Law Review and has presented on topics ranging from how to find a job in a tough economy to the advantages of using Facebook as part of a business plan. She started teaching for the College of Court Reporting in 2006 and currently works in Admissions reviewing transcripts for transfer credit and with the graduate students on career services as well as providing employer outreach. General Education Course Specialties: Law. Melissa graduated from Prince Institute with honors in 1998 and is a Certified Court Reporter as well as a Certified Reporting Instructor. She is a member of the Alabama Court Reporters Association, the National Court Reporters Association, and an honorary member of the Washington Freelance Shorthand Reporters Association. Melissa began her career as a CART provider and freelance deposition reporter where she served as the reporter of record for various trials, hearings, conferences, and committee meetings including but not limited to the Alabama State Bar Association and the Alabama State Senate. Melissa returned to her alma mater in 2010 and began teaching. She beginning teaching, she has contributed to the “On the Road to Realtime” seminar for Stenograph; co-presented the “Excellence in Teaching” seminar at the 2014 NCRA convention in Nashville, Tennessee; participated in the “Court Reporting - The Best Kept Secret” national advertisement; was published in the Journal of Court Reporting; and assisted in a “Training for Realtime Writers Program” provided for by a U.S. grant, helping to transition professional realtime writers to closed-captioning providers. President Mr. Moody has a B.S. degree in criminal justice from Indiana University, Bloomington. He has taken the Certified Legal Video Specialist course from the National Court Reporters Association (NCRA). In addition to attending many national and state association conventions, he has evaluated schools for the Accrediting Commission for Independent Colleges and Schools, and he served periodically on the ACICS Intermediate Review Committee (IRC) for school accreditations. Mr. Moody was awarded NCRA's Council on Approved Student Education (CASE) Award of Excellence to an Outstanding Educator in 2006. In addition to attending many professional development seminars through NCRA, he has served on several committees and and wa chair of CASE. He has been a independent certified trainer Case CATalyst®, RapidWrite Pro®, and CaseView II® and trained on other machine shorthand software programs. In 2009, Mr. Moody developed ev360, a learning management system and related technologies designed to assist students and faculty in court reporting education. Mr. Moody is currently developing a new "patent pending" speed building method that will be part of a new software program called ev360 Ultimate. Director of Education. Ms. Moody has a B. S. degree from Indiana University and her master's degree at Southern Illinois University in Carbondale. She has written speedbuilding and skill development textbooks and researched speedbuilding teaching methods for machine shorthand. As the result of her research and involvement on educational committees, she was honored to be designated as a Master Certified Reporting Instructor (MCRI). She has served on over 50 school evaluation teams for the National Court Reporters Association, ACCET, and the Accrediting Commission for Independent Colleges and Schools. She has presented seminars for NCRA national conventions and served on the following NCRA committees: Realtime Education Committee, Student Membership Committee, Teacher Certification, New and Expanding Markets for Court Reporters, the Master CRI Taskforce, and the Total Immersion Committee. She served on the ACICS Court Reporting Curriculum committee and the Model Curriculum committee for AAMT. In 2001 she was selected by the National Court Reporters Association as the Outstanding Educator. Mr. Moody graduated with a B.A. from Indiana University. He has 13 years of experience as a consultant specializing in computer software and technology solutions for both print and Internet media. He has conducted numerous training sessions specifically related to Microsoft-, Adobe-, and Macromedia-based applications. He has also developed customized training guidelines for various audiences and companies. He teaches Introduction to Word Processing. Academic Courses. Ms. Morely graduated with a B.A. from Indiana Wesleyan University and a M.A. from Purdue University Northwest. She is a poet, teacher, and personal branding expert with a passion for communication, entrepreneurship, and the arts. A Northwest Indiana native, Miranda’s businesses, Morley Career Solutions and Morley Creative Solutions, provide resume and professional writing services to local, national, and international clients. When she isn’t operating her business, Miranda teaches writing at the College of Court Reporting and Purdue University Northwest, where she obtained her MA in English. Miranda is a Certified Professional Resume Writer and has won more than a half-dozen Stark-Tinkham Writing Awards, as well as the 2017 Kairos Journal research award for graduate students and adjuncts..
Shorthand theory and speedbuilding instructor. Ms. Naughgle is certified by the State of Illinois as a licensed court reporter. She attended Chicago College of Commerce and passed the certificate of merit level (240 words per minute) while a student. She is certified as a court reporting instructor by the National Court Reporters Association and has attended many professional development seminars in addition to both national and state court reporting association conventions. She attended the Stenograph and BlackBoard training for online instruction. She has been an instructor at the College of Court Reporting since 1988. Director of Faculty Development, speedbuilding, transcript preparation, court reporting procedures, mock trials. Ms. Noel graduated from MacCormac College with an associate's degree in court reporting. She is a certified court reporter (CSR) in the state of Illinois and has worked as both a freelance and official court reporter. She is a certified program evaluator (CPE) and a certified court reporting instructor (CRI) through the National Court Reporters Association (NCRA). She has attended many professional development seminars and state and national court reporting association conventions. She has been on staff at the College of Court Reporting for 20 years. She is a member of both the Indiana Shorthand Reporters Association and NCRA. She currently serves on the NCRA Community of Interest board. In 2010, she was presented with the NCRA Award of Excellence to an Outstanding Educator. Academic Courses. Ms. Ryder earned her B.A. degree from VA Tech, Blacksburg. She is an Authorized Eclipse Trainer and owner of Eclipse Coach, through which she conducts both software workshops and online one-on-one training. Having been a speaker and trainer for over two decades, she has presented or taught in industries such as court reporting, job placement, theater entertainment, and commercial printing. She has developed and conducted various training programs to promote management-employee relations and/or critical job skills for various companies. She currently presents seminars at state and national court reporting conventions on Eclipse and on computer-related topics, everything from cloud storage and maintaining a computer to computer security. Marcos Rodriquez Jr., M.B.A., B.A. Academic Courses. Mr. Rodriquez instructs online courses in Culture and Sociey, and Personal Finance. Marcos Rodriquez Jr. is the Apprenticeship Enrollment Manager for Ivy Tech Community College Northwest. He received an M.B.A. in 2008 from Indiana University Northwest and a B.A. in psychology from Valparaiso University in 2000. Marcos has seven years of experience with Ivy Tech Community College, working with Northwest Indiana's building trades, employers, and community organizations. In this role, Marcos manages all enrollment and grant activities, account reconciliations, curriculum, and Department of Workforce Development reporting. His previous experiences have allowed him to serve commercial and industrial firms, providing environmental remediation, sales support, and account management in the Chicagoland area. Director of Admissions. Ms. Rodriquez has a bachelor's and master's degree with a concentration in Sociology from Valparaiso University. Nicky received an associate's degree in Criminal Justice from Ancilla College. Nicky has been an on-site and on-line instructor for the school. Nicole taught Human Relations and Culture and Society. Nicole also maintained membership with Kiwanis International and local chamber of commerce and has been with the college for over 15 years. Speedbuilding and academic courses. Ms. Schoenbeck is a graduate of the College of Court Reporting with an associate's degree. She worked as a freelance court reporter in Northwest Indiana. She teaches academics and speed building in evening classes and online. Theory, Speedbuilding. Ms. Skoro is a graduate of the College of Court Reporting with an associate's degree in 1992. She has worked as a proofreader and scopist and has taught theory and speedbuilding for Las Vegas College. Ms. Skoro has been an online instructor for CCR since 2007 teaching both speebuilding and dictation classes. Lanie Steinwart, D.M., M.A.L.S., B.A. Communications. Dr. Steinwart earned her bachelor's degree in communications (specializing in advertising and public relations) and her master's degree in English from Valparaiso University. She earned doctorate in Organizational Leadership from the University of Phoenix and is a professor at Valparaiso University. She teaches Communications online for the CCR. General Education Course Specialties: Communications and English. Mr. Vettickal is the Executive Director and also teaches general academic courses. He attended the University of Virginia and earned his B.G.S. from Indiana University Northwest. He is responsible for program and curriculum development, accreditation and certification maintenance, and managing Gainful Employment and Program Integrity. One of his accomplishments at CCR includes securing over $240,000 in grant funds for the training of realtime writers and court reporters from the U.S. Department of Education's Fund for the Improvement of Postsecondary Education (FIPSE). He evaluates schools for the Accrediting Commission for Independent Colleges and Schools. He has served on National Court Reporter Association (NCRA) committees as a member and as a chair and currently is co-chair of NCRA's School Owners and Administrators Community Of Interest Committee. He has a Certified Reporting Instructor (CRI) certification through NCRA. He has attended professional development seminars in addition to national and state court reporting association conventions. Before joining the College of Court Reporting in 2002, he worked for firms in Washington, DC; Cary, North Carolina; and Chicago, Illinois.